Pavakoothu is the puppet dance which is popular in the Palakkad district. The meaning of Pavakoothu is ‘puppet play’. It is also called as Tholppavakoothu. The main source for Pavakoothu is from the Kamban’s version of Ramayana. This is performed during any temple festivals and is performed in 21 parts. There were numerous theatres in the olden times and used about 130 puppets. 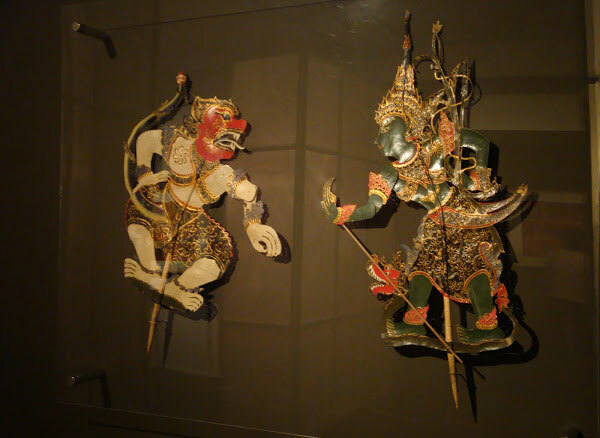 The text for the puppet show was originally taken from Kamban’s Ramayana but to make the show more interesting and attractive to the audience, it was rewritten. Out of the 23 Patalams in the Kamban’s version only 11 are found in the Balakandam puppetry text which was a work by Krishnan Kutty Pulavar.